Parents often ask me how to change their children’s behavior. There are often several factors that contribute to children’s misbehaviors. And, each of these factors influence how a parent can best respond. Let me list just four factors that might influence children’s misbehavior…and a good response to each one. Children may misbehave out of a desire to confirm the limits. Children need limits. They will often test the limit or work to confirm that limit in their own mind. They might do this by misbehaving, looking at a parent as they prepare to misbehave, telling on another child, or simply asking for confirmation. These actions either confirm or test limits the parent has already established. 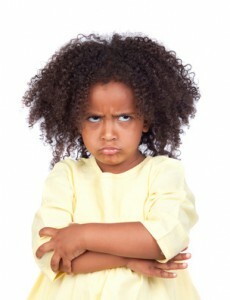 Parents often see this behavior as an effort to assert power. However, children need firm limits to establish a sense of safety. Engaging in this “limit testing” behavior is like leaning on a fence. It confirms the strength of the fence and so the ability of the fence to keep us safe. o Remember, it is your children’s job to test the limits. Our job is to consistently and respectfully reinforce the limit. Explain the limit beforehand. Remind them of the limit. Explain alternative behaviors allowed within the limit. Allow natural consequences to occur when they break the limit. Children may misbehave out of a desire to gain attention. Children need to know that their parents are available to them. They want to know their parents delight in them and watch over them. When they feel threatened in any way or fearful of something inside them or around them, they will seek attention. This could be as simple as feeling overwhelmed and threatened by all the sights, sounds, and traffic of a store…or by watching their parent giving attention to a person on the other end of the telephone. When children perceive a threat or feel some fear, they will often “act out” to gain their parents’ attention and confirm their availability. o Remember, your children need to know you delight in them, watch over them, and remain available to them. Respond to their material and emotional needs. Comfort them in the face of overwhelming situations. Help them understand their feelings and teach them healthy ways of responding to personal fears. Remain responsive to their needs. Children may misbehave out of a desire to feel adequate. Childhood is full of challenges…and comparisons. Children compete with each other. They also get judged by their performance every day in school. It is easy in the midst of the demands of home (chores), school (classroom behavior, homework, tests), and friends (how to fit in), to experience feelings of inadequacy. In the midst of these challenges, children need recognized and reaffirmed. If they do not receive that recognition they may misbehave to get it. o Remember, your children need to know that your acceptance and love is not based on their performance ability in sports or academics. Instead, encourage them to simply do their best. Teach them that achieving to the best of their ability brings personal satisfaction. Allow them to explore their interests and to invest in areas they find most motivating. Take a personal interest in those activities yourself…it will show your children how much you value them and their interests! Children may misbehave out of a desire to communicate a priority. This often comes across like anger or revenge. We tend to become angry about those things we find important. The same is true for our children. Perhaps they misbehave because they are angry and feel unheard or unimportant or neglected. If you search under the angry behavior you may find the priority of wanting to be heard, viewed as important, or paid attention to. Of course, the misbehavior miscommunicates this priority and need. We have to teach them how to communicate this priority in a way others, including us, can better understand it. o Remember, your children have feelings too. Emotions are not bad in themselves. They are opportunities to connect and learn about one another. We do want to teach our children how to express their emotions in a way that will help others understand and respond. In addition, when our response is directly in response to their need or priority, we take a big step in reducing their anger. When a person feels heard, anger often dissipates. 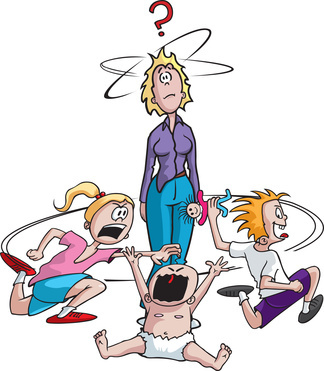 Knowing why our children misbehave or what influences their misbehavior will give us insight into how to respond to that misbehavior. Look past the behavior into the deeper influences. As you address these underlying factors over time you will see your children’s behavior improve.